The tactile finishes of the brick, wood and glass are brought into easy flowing harmony with neutral shade of light grey doors and reflected in shadow grey glass splash-backs. All glass splash-back shown are available to order from ourselves in any colour and made to measure. Go for a luxury by adding brick effect or glitter to the glass. 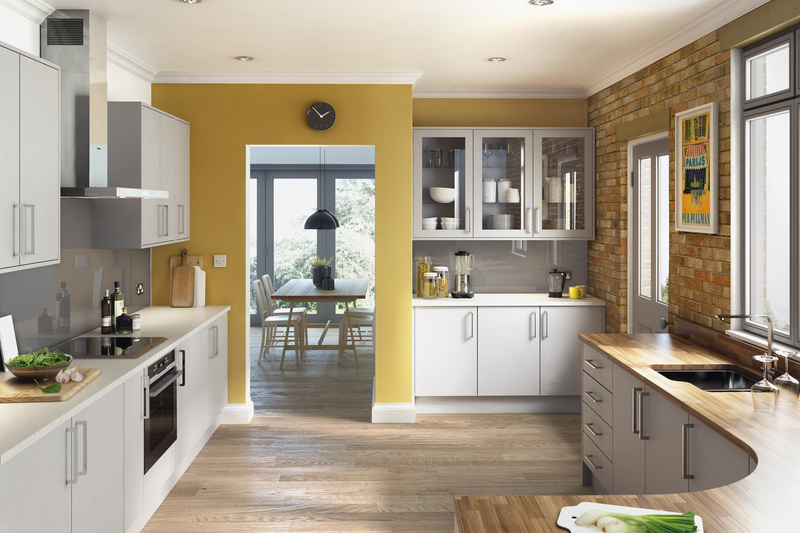 This style kitchen is available in a range of colours and style and also in made to measure sizes.